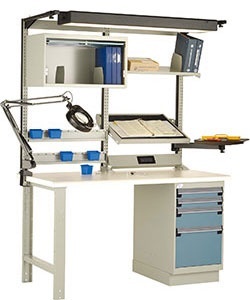 Workstations and Workbenches offers a multitude of possible layouts, thanks to its numerous accessories which allow you to create a work center that responds to your exact needs. Whether you are installing a workbench for a production or assembly line, or a custom layout for your machine tool workshop, our line of products offers you an impressive selection of accessories that are sure to meet and surpass your expectations. 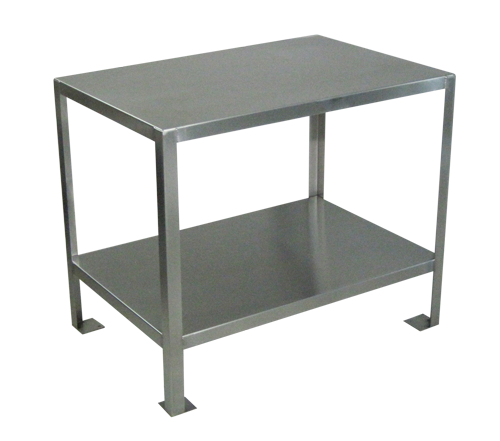 A workbench is a table used by workers both professionally and personally to hold workpieces while they are worked by other tools. There are many styles of woodworking benches, each reflecting the type of work to be done or the craftsman’s way of working. Most benches have two features in common: they are heavy and rigid enough to keep still while function is being performed, and there is some method for holding the work in place at a comfortable position and height so that the worker is free to use both hands on the tools. The main thing that distinguishes benches is the way in which the work is held in place. Most benches have more than one way to do this, depending on the operation being performed. 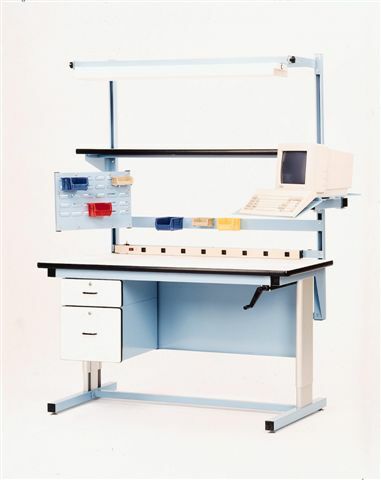 Workstation with heavy duty cabinet and computer adjustable arm. 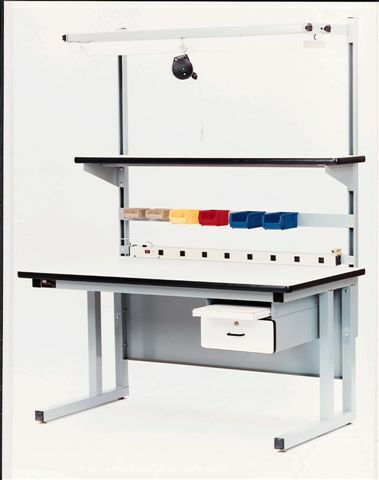 Customize your own workstation with modular drawers and attachments, foam tray dividers and partitions.